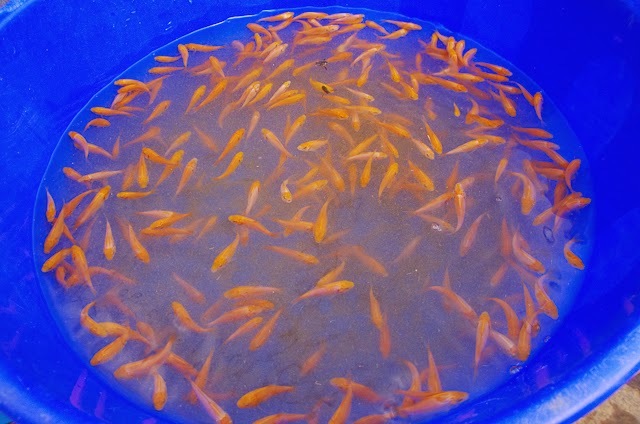 Home / Kohaku / Koi Fry / where were this lot hiding? where were this lot hiding? I drained the pond down to the final large puddle, and pulled this lot out! Where were they hiding? Must be around 200 or so in there. I havent counted them. 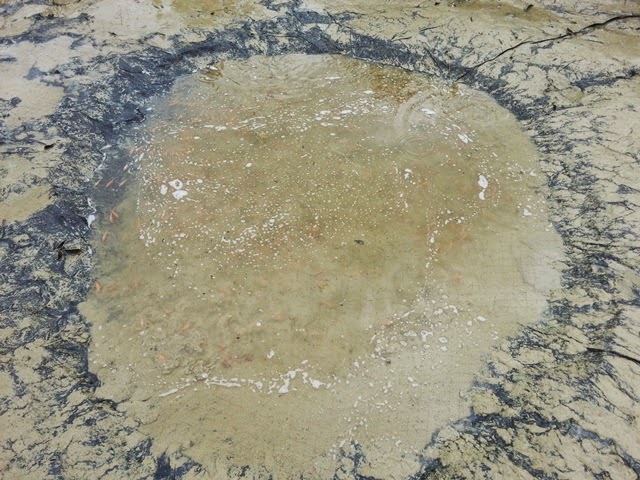 The sink at the bottom of the fry pond. A few inches deep and around 1.5m diameter. We picked them out in small groups with a pan net. Saw a few really nice ones. And that's it! Harvest complete. Having spent quite a bit of time this weekend on the koi, I'll put off first selection until next weekend. In the meanwhile, we'll continue to grow them on indoors at around 23 degrees C.
I estimate the overall harvest to be around 5k fry - and, after all the trouble I had with the spawnings through June and July, I am pretty happy with the haul.